COMPANIES, particularly those in the IT-BPM industry, are encouraged to leverage on intelligent operations to win in today’s increasingly disruptive market. 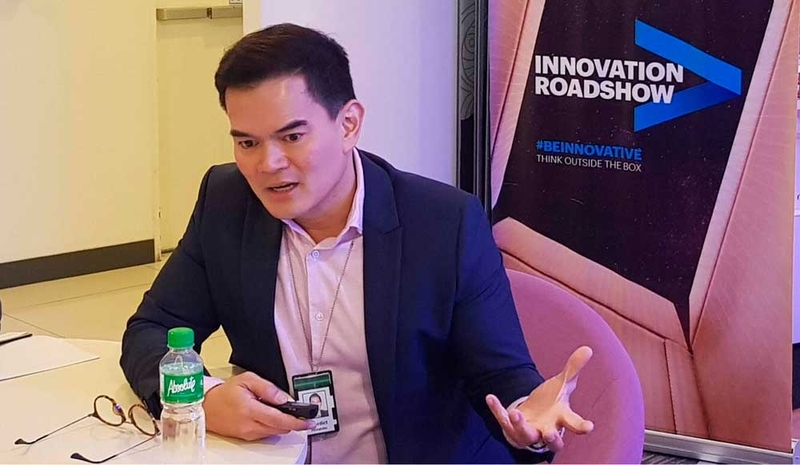 Citing a new report from Hfs Research and Accenture, Benedict Hernandez, Accenture operations lead in the Philippines, told reporters on Tuesday that companies must invest in five elements—talent innovation, data-driven insights, applied intelligence, cloud, and smart partnership ecosystem—should they want to remain relevant in the market and overcome the impact of digital disruption. He said companies should think beyond cost efficiency because implementing these elements in business operations will benefit them in terms of fast decision making, delivering best customer experience, earning competitive advantage, improving risk management and compliance and cost reduction. The study showed that 80 percent of the 460 respondents are concerned with disruption and competitive threats, especially from new digital-savvy entrants. It also revealed that most organizations are unable to make data-driven decisions due to a paucity of skills and technology to process data. Nearly 80 percent of the respondents said 50 percent to 90 percent of data is reported unstructured and largely inaccessible. Moreover, half of the respondents say their back office is not keeping pace with requirements to support digital capabilities and meet evolving customer expectations. “To successfully transform their operations, organizations must take a holistic approach that integrates business processes and industry expertise, human ingenuity and intelligent technologies. This enables the agility, flexibility and responsiveness to drive superior decision-making, business outcomes and customer experiences,” said Debbie Polishook, group chief executive at Accenture Operations. Hernandez stressed the need for companies to innovate their workforce through continuous trainings to upskill them. “We need the right kind of talent to support our migration to intelligent operations,” he said, adding that while this is an area where most companies are hesitant to invest in, automating the repetitive jobs and training the talent to high-value services is now a competitive advantage. According to the study, organizations need creative and entrepreneurial talent that understands digital technologies, while integrated automation, smart analytics, and artificial intelligence can help transform operation. Over 160,000 employees of Accenture have been trained in new technologies and that the goal of the company is to keep investing in talent development, said Hernandez. Nearly 90 percent of the respondents believe automation and AI will help them achieve goals. Over 90 percent, on the other hand, expect cloud-enabled capabilities from their business partners, although 49 percent still have legacy technology across half their enterprise functions. “They now see what cloud brings to the table in terms of cost efficiency, flexibility and agility,” said Hernandez. Moreover, over 90 percent of the respondents said working with partners will help them meet their business objectives. “Companies can’t transform into intelligent operations by themselves. They would need the expertise of others to help them meet their goals,” he said.